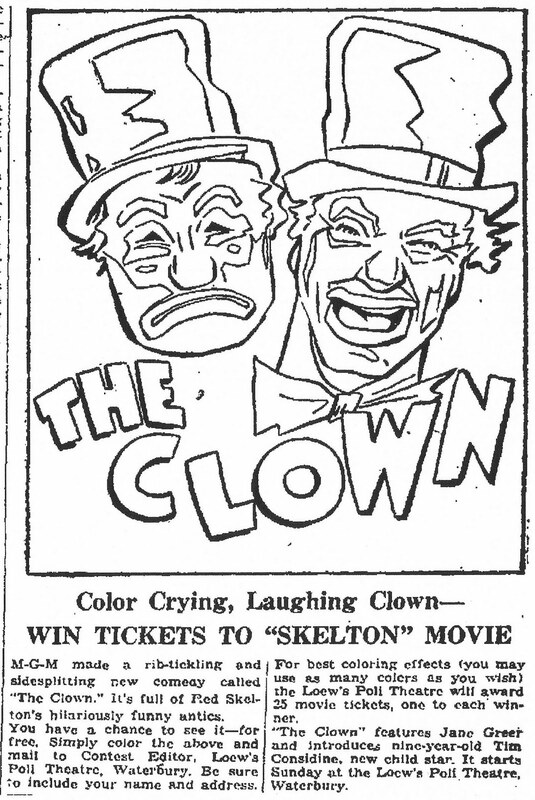 THE CLOWN starred Red Skelton, Jane Greer, Tim Considine, Loring Smith and Philip Ober. Remake of "The Champ" about a washed-up comic with a devoted son who looks out for him. 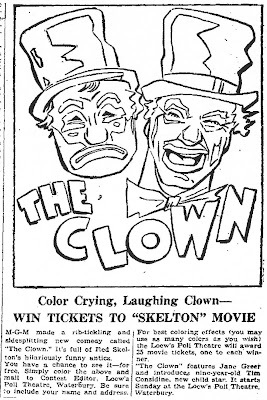 A rare dramatic role for Red Skelton. Charles Bronson has a small role in the film. Movie was directed by Robert Z. Leonard. Coloring contest from February 20, 1953.